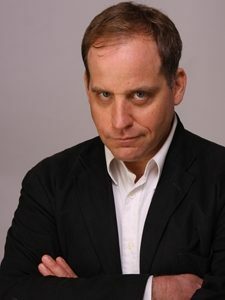 Benjamin Fulford is a famous professional writer and journalist located in Japan. Mr. Fulford has sold over 500,000 non-fiction books written in Japanese. He has produced a comprehensive catalogue of scoops in fields ranging from business to yakuza gangsters to high-finance to government corruption. He is now focused on exposing U.S. manipulation of Japanese politics, media and education through a combination of bribes, murder, brainwashing etc. He writes that his “goal is to counter U.S. propaganda and expose the Japanese people to the truth so that they may free themselves from the colonial yoke and use their $5 trillion in overseas holdings to end world poverty and save the environment”. He speaks Japanese, French, Spanish and English, as well as Mandarin, Portuguese and Italian. Mr. Fulford has also published 15 books written in Japanese with cumulative sales running at over 500,000 copies. He has a weekly 2-hour TV show and appear frequently on numerous other nationally broadcast shows. He also has regular columns in a variety of best-selling Japanese magazines. I hope you enjoy this Out of this World interview!